Juliana Katini is pictured with some of the girls who she is helping to empower in Kenya, by educating them about menstrual hygiene management to help them stay in school. How do you work or go to school without period products? 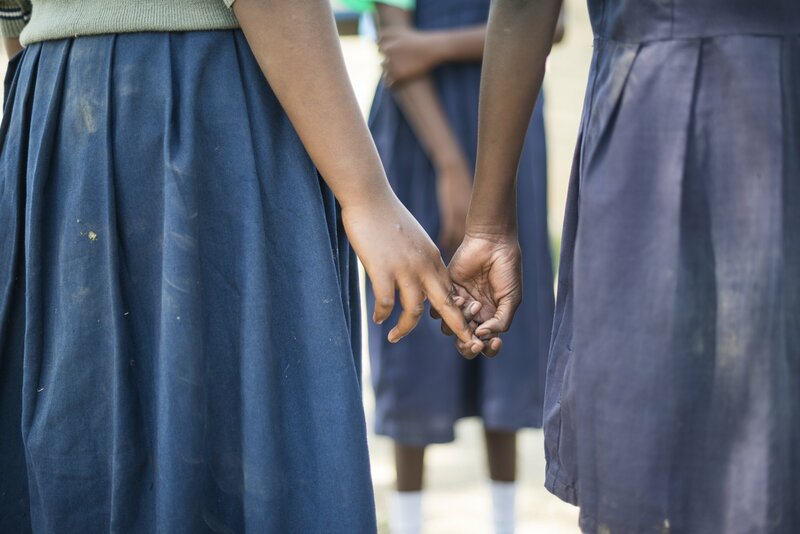 For women and girls in countries all over the world, periods come at too high a price. Girls are missing out on school. Women are missing out on work. And, ultimately, the world is missing out because of the economic impact of inequality. But women like Juliana Katini are driving the fight to ensure that women and girls everywhere can, with the help of simple menstrual products, reach their full potential. You can join us by taking action here to help empower women and girls everywhere. 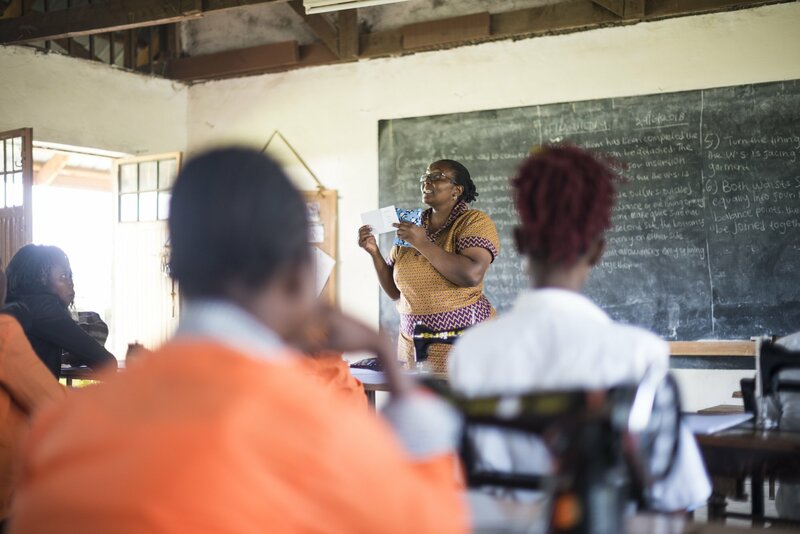 When Juliana Katini first started working with girls and women in the rural Kenyan community of Barut, she taught them skills like stitching and making soap. But as she worked with the women, she heard firsthand about the challenges they faced without sanitary pads. Many described how they had to choose between paying their child’s school fees and buying period products. Others were using crude materials, like bark and sand, instead of proper period products and were suffering from health problems and social stigma as a result. It was then that Katini decided to focus on menstrual hygiene. It’s something that many take for granted, but women and girls all around the world are suffering every month because the cost of having a period is just too high. Now, Katini supports women and girls by providing with with information, education, and supplies to help support them in learning about what menstrual hygiene means and why it’s important in reaching their full potential. But, while Katini has been providing women and girls with sanitary pads for years, working alongside local organisations and NGOs that provide the menstrual pads, she's hit a stumbling block. And it’s a stumbling block that originated over 7,500 miles (12,000 kilometers) away — in the White House, in Washington, DC. The “global gag rule” began under President Ronald Reagan in 1984, but was revoked by President Bill Clinton in 1993, and was reinstated by President George W. Bush in 2001. Most recently, it was again revoked by President Barack Obama in 2009. In effect, the policy restricts international and national NGOs from all US health funding if they use any funds to engage in any abortion-related activity, such as performing abortions or telling women about legal options for abortion. It sparked outrage among the international community last year. Bill and Melinda Gates at the time warned that it was putting millions of lives in danger. Meanwhile, the Dutch government calculated that it would lead to a $600 million funding shortfall for women’s health organisations over the coming four years. The move disproportionately affects women living in developing countries. The US is the world’s largest provider of overseas development aid in terms of total spend, and had previously been the largest international provider of family planning assistance to developing countries. In many developing countries, access to family planning and contraceptive care is already severely limited, and organisations that support women on matters like menstrual hygiene also tackle issues like family planning. 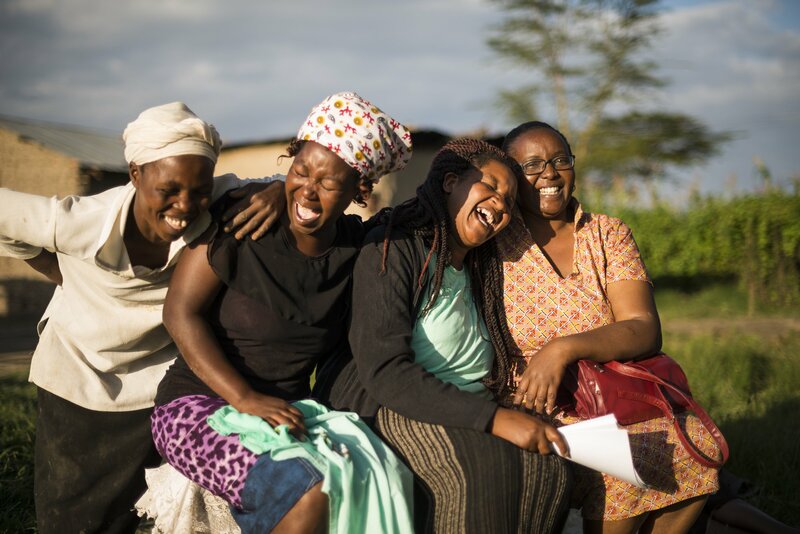 For women like Katini and her peers in Kenya, the global gag rule can be devastating. Katini has previously been distributing pads that have been donated by other NGOs but, with the funding cuts, the supply just isn’t enough and the demand is now too large. Campaigns like #SheDecides have jumped in to fill the gap, but are unlikely to raise enough on their own. And in this vacuum, Katini and thousands of women like her are stepping up and filling this crucial gap in the world of women’s health. Katini now wants to launch a programme to make reusable menstrual pads in a local centre from cotton and a thin plastic liner, both to ensure that demand for period products can be met, but also to create jobs for women and girls. There is very little employment opportunity in the area, and a project like this currently doesn’t exist. But Katini has launched a crowdfund campaign, to help finance the project, to buy sewing machines, fabric, and other materials needed to keep up with demand. The project would aim to reach all girls in primary and high schools in the area, with the target for the first year being 3,000 girls. You can support Katini's work by donating to her Just Giving page here.